illy whole bean espresso, medium roast coffee, is perhaps the perfect espresso blend. 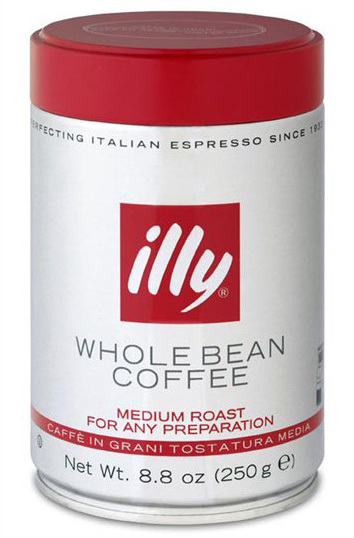 Whole bean illy espresso coffee can be ground for any type of coffee preparation: espresso, drip or French press. 100% Arabica coffee. Six 8.8 oz. cans per case. 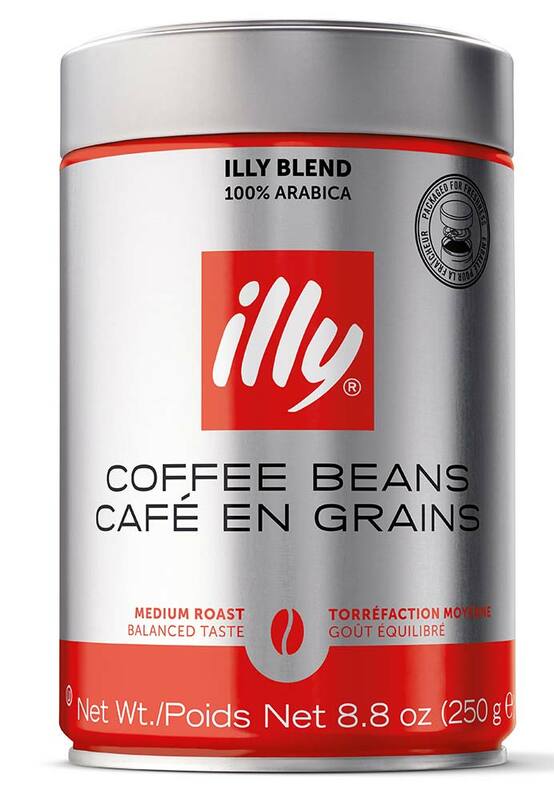 illy creates a single blend of the best 100% Arabica beans which they carefully selected from all around the world. Skillfully roasted and air-cooled, the espresso beans are then packaged in an oxygen-free pressurized environment. As a result, illy coffee's exquisite and consistent taste and exceptional freshness provide an exceptional coffee experience you can't find from anyone else! One cup of these illy espresso coffee beans and you'll understand why illy is the number one choice of top chefs, coffee experts and espresso connoisseurs. Our office loves Illy Caffe Whole Bean coffee, we get the medium roast. Our customer's always peek their head into our office asking if we have any of that AMAZING tasting coffee. We have been buying this coffee for 15+ years now and will continue. We are very happy with our Illy Medium Roast Coffee. We drink it every day. When we have our meeting we get a lot of compliments for our Illy coffee. I’ve been ordering the Illy medium blend whole bean coffee for over a year; it’s the perfect roast - not bitter and not too strong. The vacuum-packed cans ensure that the beans are fresh. Worth the price for any serious coffee drinker. Amazon stopped carrying the type of Illy coffee our office likes. We order about once a month from 1st in Coffee. Their customer service is excellent. Our shipment always arrives earlier than expected. Once I tasted Illy Cafe Whole Bean Medium Roast a number of years ago, I have not purchased any other coffee. I love the taste, the richness, the smoothness....there isn't anything I don't love about this coffee. When I serve it, friends always ask what it is because they love it also.